Few things in life remain etched in our memories forever! Be it significant, be it inconsequential, be it small, be it big, be it happy, be it sad; we recall them time and again through our walk of life. Sometimes it’s something at the back of our mind, sometimes it’s just an incident, sometimes it’s reminiscing, and sometimes it’s even re-living! Do I invoke any such memories in you? I’m sure I do? We all have these memories that come back to us time and again and presents itself in diverse ways. My experience at Aura, The Sonnet was one such experience. I have time and again tried to pen down my experience at Aura, The Sonnet and whatever I wrote I felt I wasn’t able to do justice to my experience or my feelings for this place. And some time passed and I realized that Aura had become my yardstick for any fine diner; and without even trying I was recalling my experience time and again sometimes with a purpose and sometimes without one. I’m grateful to Aura and its members for this unforgettable experience. The Aura, the Marquee Restaurant at The Sonnet, Kolkata asserts that they have always been in pursuit of happiness through gastronomical indulgences and delights. And Oh Boy! Their claim is not the slightest bit an exaggeration! 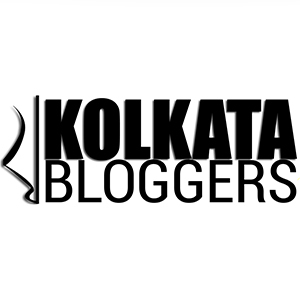 Kolkata has always been a city with a predilection towards music and food. And when the lyrics of food create music, it touches our soul and lasts forever! They propound that Symphony in Harmony is the muse of this Hotel and when I was invited for their ‘Food Theater’ experience along with a group of foodies; this Symphony expressed itself with its most diversified notes. I call my visit to Aura and ‘experience’ because not only taste, but all my senses amalgamated together to make ‘this simple visit to a restaurant’ into a ‘sensational affair’. In their ‘Food Theater’ experience they brought together diverse culinary delights from all across the world and combined them to make a Food Symphony that was captivating, awe-inspiring and breathtaking! Hotel Sonnet is located near City Center at Salt lake Sector 1 and is frequented by travelers for their luxurious rooms, professional staff and strategic location. Aura; the 24-Hour-Diner overlooks a lawn and is located on the first floor of Hotel Sonnet. Frankly, the place is quite gigantic! White walls, a waterfall at the entrance, huge chandeliers, well-spaced comfortable sofas/chairs in red and white, bold furniture, classy décor, dim yellow lights, soft English music, gave the place a sophisticated, yet warm charm. The ambiance was sheer awe-inspiriting! Aura, boasts to be the only All-Day-Diner at Salt-Lake. Their restaurant serves a myriad of cuisine; from Bengali, to Lucknowi, to Hyderabadi, to South-East-Asian, to Continental they have it all. And remarkable even with such amount of diversity their tastes are authentic and frankly SUPREME! They also cater to all-age dietary requirements and guests can request special dishes, out of the menu. From elaborate breakfast buffets, buffets and ala-cart lunches & dinners and midnight snacks their diversity just seems never ending! Mr. Rajib Roy Choudhury the General Manger of The Sonnet invited my foodie friends and me for an evening of Food Tasting at Aura. Frankly even before I entered Aura, I was bowled over by the professional and yet warm reception that was arranged for us by the staff of The Sonnet Hotel. The class interiors, the impeccable staff, and the mind blowing food just transformed my evening into a scintillating experience. Mr. Roy is an enigmatic man and his enthusiasm towards food is infectious. He was the quintessential host and he keeps on saying that it wasn’t an event but our food camaraderie. The Manager of Aura, Soumen Halder was another man worth mentioning. With his charming smile and his professional attitude won my heart! Parijat our server of the evening surpassed all my expectations, with his swift service, knowledge of dishes and decent behavior. LET’S TALK ABOUT THE FOOD (And now I have biggest smile ever)!! A menu had already been pre-selected for us and the stupendous meal begun! The food theater experience comprised of cuisines from different corners of the world. It brought in the ingenious concepts of mono portions and pallet cleansers. Mono portions are portions for a single person, so that one person can try a variety of dishes. After every distinct type of cuisine, a pallet cleanser is used (basically a mini-fruity-drink) to clean one’s taste pallet so that flavor of the previous cuisine doesn’t intermingle with the flavor of the current cuisine. WHAT A GENIUS IDEA!! We started with the Mocktails : Cucumber Rocks, Pineapple Smoothie, Chili Guava, Ginger Rock Salt, Orange Delight, Watermelon Mojito, Juicy Julip, Mango Smoothie, Strawberry Smoothie and Cold Coffee. Abrakanti was our mocktail maker of the day and he did a fine job! Cucumber Rocks came a fancy looking margarita glass. It tasted fresh and delicious, and turned out to be one of my favorite drinks of the evening. Pineapple smoothie had a subtle tasted and with lots of crushed it. This was another refreshing drink. Chili Guava was an interesting drink with some salt dispersed across the glass brim. Though I found it a tad bit extra salty this drink definitely had an innovative aspect to itself. Ginger Rock Salt delight had mild jaljira flavor and came in a tall glass. It tasted yummiilious!! I loved the favors of ginger and rock-salt together. Orange Delight was a rich, creamy drink, with a strong Orange flavor! Watermelon Mojito was the best drink of the evening; I may be biased because I love the flavor of watermelon and mint leaves. Juicy Julip was another fabulous drink made with grape juice. Mango smoothie didn’t have enough of mango flavor that I had hoped for. It came in a margarita glass and with a bright yellow color and lots of crushed ice, it tasted palatable. Strawberry smoothie was a bright pink colored drink which tasted fresh and nice. Cold Coffee was very creamy and delicious, but I would have liked some more of coffee in it. Then the starters arrived. Chilly Cheese Cigar had lots of stringy Mozzarella cheese, garlic, jalapenos within a crumb fried coating and came with a helping of BBQ sauce. The tangy sauce and the extra cheesy combination tasted remarkable. The dish was lovely. Then veg skinny crispies arrived with warm cheese dip. The combination of deep fried skinny vegetable crudités with a coating of poppy seeds and warm cheese was nice. Then crispy breaded prawn arrived. This was another deep friend dish and tasted totally out of the WORLD! It had a wonderful presentation and looked very alluring even from afar. Stuffed Fish Goujon arrived next. It was basically roasted papad coating and mint chutney stuff fish fingers, and came with house-made tartar sauce. The quality of fish was exemplary, but it was fried with a thick batter coating, I would have loved it more if the batter was slightly less. But this dish was definitely delicious. Soon after Veg Risotto arrived, it was so rich and creamy that it almost melted in my mouth. This was one of my favorites of the evening. Then our first pallet cleanser of the evening – A shot of Kaccha Mango Drink arrived. Personally I loved this concept and the drink too. Then Paneer Aamras Ki Kabab arrived. The paneer was succulent. It was marinated with mango pulp and cooked in tandoor. The presentation was beautiful. This was another delectable dish. Soon Badshahi Kumbh arrived. Succulent mutton pieces stuffed with cheese and nuts and cooked in tandoor. WOW, what a dish it was! Then Antipasta – cheese infused salad with a portion of garlic bread arrived. This was our second pallet cleanser. It was tangy & yummyyyy, a great change after all the varieties of meat. Then Gai Sai Takrai arrived, it was mainly crispy chicken with lemon grass and Thai herbs. One yummiilicious dish this was! Soon Pad Thai Noodles arrived. It was Thai style flat noodles with roasted crushed peanuts and veggies. Though I would have liked some more Thai flavors in it, this dish was quite nice. Braised Tofu with black bean sauce – Bean Curd cooked with black bean and light soya, came next. Though I’m not a fan of vegetarian food, I quite liked this dish.Its presentation was beautiful and looked very alluring from afar. Pan seared Sea Bass with Havana Rub – Havana spices marinated Sea Bass with crushed potato and tomato. It was really innovative dish and looked very enticing. Since I’m a fanatic fish lover, I found this dish mesmerizing. Then the giant sized BBQ Pork Chops – Barbecued Pork served with caramelized apple and smoky BBQ sauce arrived. This was a stupendous creation and tasted just, plain perfect. This was another favorite of the evening. Soon the next pallet cleanser – watermelon shot arrived. It was itself so yummy, I asked for a second helping. Then we started our Mughlai Foodathon! There was Kulcha, Naan and Tandoori Roti with BhattiNu Dal, Makhmali Moti Mahal and Badami Subz Bahar. The rotis were all warm and dripping with butter. BhattiNu Dal was basically Dal makhani with lots of butter. It was so, so rich and creamy. I loved it! Makhmali Moti Mahal was basically malai kofta. The kofta was soft and delicious, the gravy was phenomenal. Badami Subz Bahar was mixed veggies in cashew gravy. This was a yummilious preparation. Finally the star of the evening arrived, a gigantic platter of chelo kabab. We had been talking about this all evening and when it was placed on the table we understood the enormity of it. It was so, so delicious. Everything about it was just plain perfect! Then the next pallet cleanser (by this time I had lost all count) – Basil Green Tea (hot) arrived. It was so refreshing. The desserts were all just mind blowing. The cream caramel with waffle jalebi – cream caramel topped with wipped cream and waffle jabeli was one of the best desserts I had, had in a long long time. With its distinctive flavors it won my heart! The Melting Chocolate Mud Pie was another jewel on the crown that is called AURA! A rich pie served with hot molten chocolate and vanilla ice cream was the perfect way to end this evening. But wait our evening didn’t end there. And Soumen came up with his last apllet cleanser – Pan Shots! Wow!! I was just speechless! What an innovative idea, we get the pan flavor without doing all the munching! I was really happy with the food camaraderie(as Rajib puts it) and the distinctive menu that was painstakingly chosen for us. The great choice of food, impeccable service and humble behavior is what sets apart Sonnet from the rest. Kudos to Mr. Roy Choudhury, Soumen and the entire team of Sonnet!! I went back home with a remarkable experience and a lifetime of memories. I wish the team all the very best for the future! Love ur write….musical camaraderie indeed…..
Love your write….beautiful & detailed….musical camarederie indeed !! I have never found a food blog with such a write up! Your’s is different 🙂 I love the way you write. A very nice post! I completely agree with you Payel. I have stayed at Sonnet (Salt lake and Jamshedpur ) and enjoyed their delicious food. The staff is very courteous and go out of the way to ensure the stay is enjoyable. The breakfast spread requires a special mention. Can’t forget the yummy waffles they made for me though it was not on the menu.